Humminbird SmartStrike takes you straight to the action by showing you where the fish are biting at any given moment. 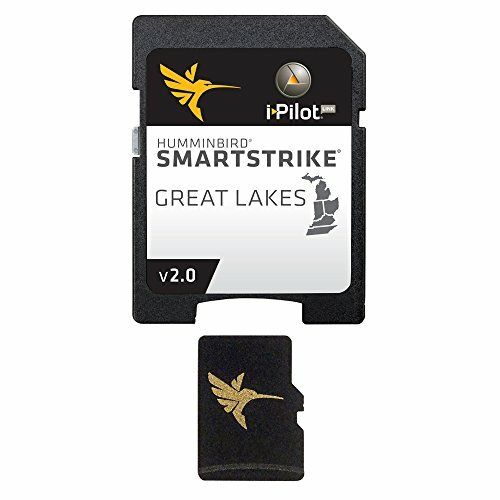 This powerful software Program contained on the SmartStrike map card allows anglers to utilize Humminbird LakeMaster high-definition map data and extension search algorithms to pattern and locate fish like never before. Based on search parameters like fish species, season, time of day, and temperature, the SmartStrike engine searches Depth ranges, type of structure, proximity and more to quickly reveal and highlight the results on the lake map. Build a custom search based on criteria you choose, or click any location on a lake, select find similar areas, and millions of data points are searched to return other areas like it. Features:- shallow water highlight - Depth highlight - water level offset- follow the contour/with Copilot equipped Minn Kota trolling motor Specifications: - covers: great lakes, Michigan, Indiana, Ohio, Kentucky and Tennessee.